What is the 1st element on the periodic table of elements? The wire inside an electric bulb is known as _____. A gas is turned into a liquid. A solid is turned into a gas. A liquid is turned into a gas. Antibiotics are effective against ______. Which is used as a disinfectant in drinking water? What is the chemical symbol for Oxygen? Nailed it! 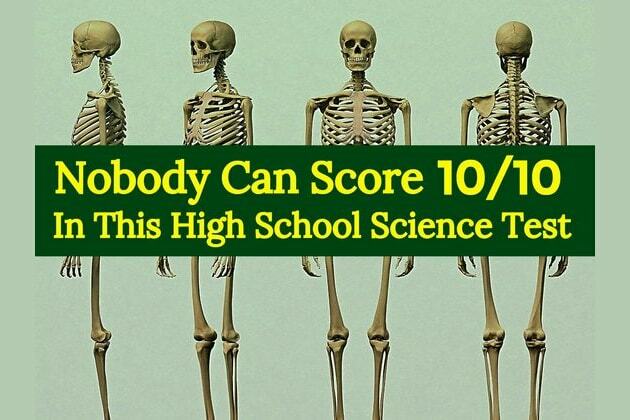 We gave this basic science test to 50 college students and only 2 got a perfect score. You're a creative thinker and a keen observer. You love learning, you're well-read, and you probably have a great sense of humor. You passed!! You possess a strong analytic aptitude. You show attention to detail and an ability to think logically. You have sharp problem solving skills and excellent technological potential. You failed this science test. Take another stab at it, and share it with your friends to test their scientific skills.